An Indiana businessman planned a different kind of "golden parachute." One of two members of an elite skydiving team killed during a group jump training exercise in was from the Bay Area, according to the center where both members trained. 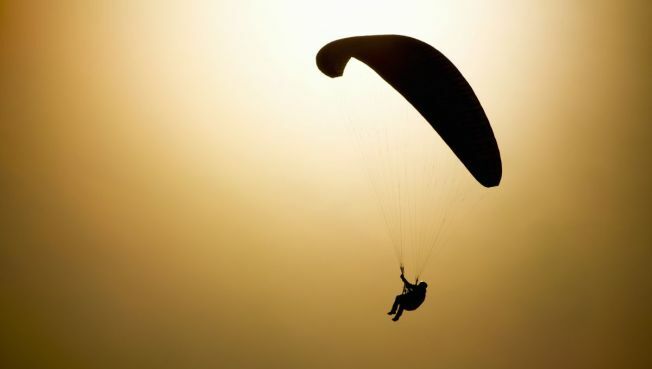 Something went wrong 6,000 feet above the ground, causing the pairs' parachutes to become entangled during a group jump in Lodi, California. Bill Dause -- owner of the Parachute Center near Lodi -- says the pair were part of the Red Line jumping team, an eight-member group who was practicing Sunday for the U.S. Parachute Association national skydiving championships next month. Dause says the team was jumping in close formation when three parachutes became entangled. One diver was able to separate and safely deploy his chute, another died immediately on hitting the ground, and another died at a hospital. Authorities have not released their names but the Parachute Center identified them as Robert Bigley, of the Bay Area and Barbara Cuddy of Carson City, Nev. The U.S.P.A lists both Cuddy and Bigley as members who have both broken records for group formation jumps. The accident leaves many of their loved ones wondering what went wrong. "These are very close friends of ours, highly experienced skydivers doing what they loved to do," Dause said. "We're not sure why they couldn't use their backup chutes."